STAFF and students at a Ponteland school put on their running shoes at the weekend to help a range of charities. 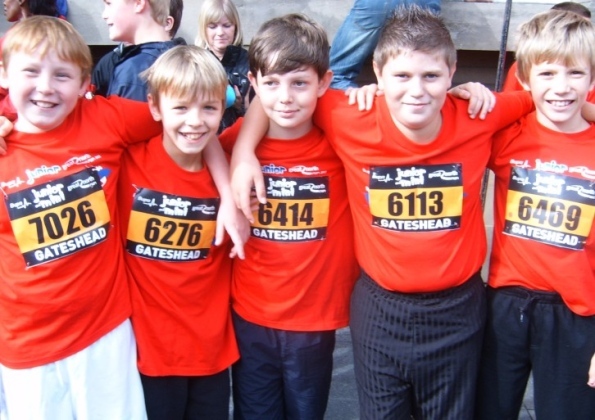 More than 20 boys and girls from Richard Coates Middle School took part in the Junior Great North Run on Saturday in aid of St Oswald's Hospice. They are hoping to raise around £700 and beat the total amount they collected after last year's event. Three members of staff were truly exhausted by their efforts, but thoroughly enjoyed the experience of their maiden attempts at the Great North Run on Sunday. One of the trio was running for St Oswald's and the others were raising money for the Motor Neurone Disease Association and Marie Curie Cancer Care.